We’ve seen so many cars with numerous tuning programs these days that it’s becoming really tough to figure out which ones best suit our tastes. But if you happen to be looking in the market for a luxurious sports utility vehicle that clearly has a name and identity all its own, then look no further than the SportChassis’ P4XL. An intimidating exterior look belies the luxurious interior that it comes with; the P4XL is the personification of a rugged luxury, all built in one powerful package. But power, so people say, also has its share of drawbacks, and the P4XL is no exception. The utility vehicle is powered by an 8.3-liter diesel engine that produces 330 horsepower and 1,000 lb/ft of torque, making it a nightmare for advocates of eco-friendly vehicles. If you’re not one of them, though, and you enjoy the metal-twisting power of what 1,000 lbs per feet of torque gives you, then give SportChassis a ring and they’ll hook you up with this beast on four wheels. Details on the SportChassis P4XL after the jump. 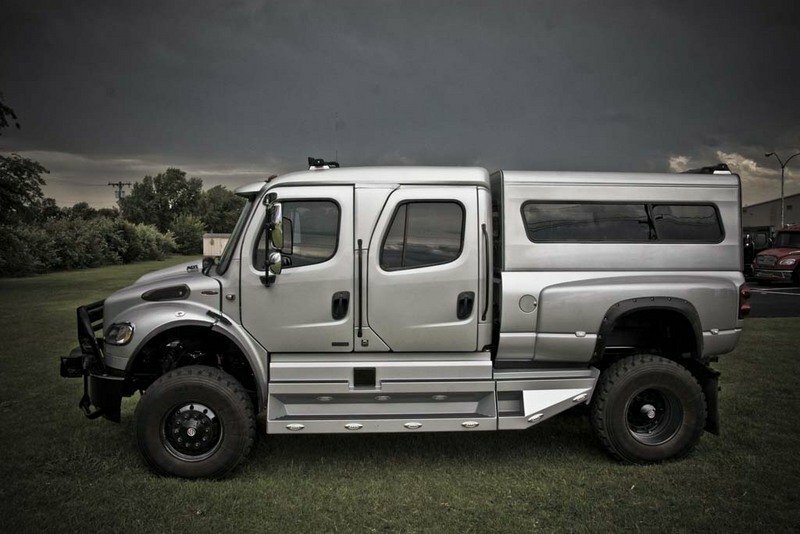 Everything about this sports utility vehicle screams big. It measures 264 inches long, 100 inches wide, and has a wheelbase of 174 inches. 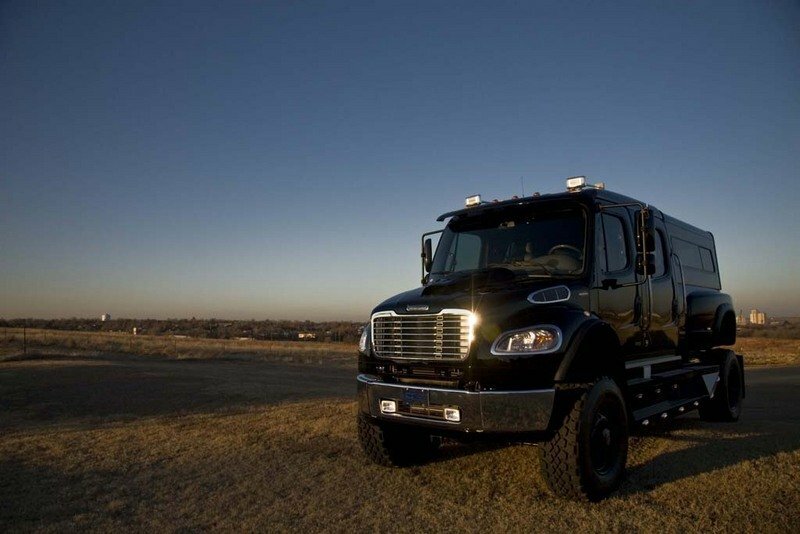 It features a 154" BBC high-roof aluminum conventional crew cab, air cab mounts, a single 11" round air horn mounted under cab, and dual bright heated West Coast mirrors with both left-hand/right-hand remote. The P4XL also rides on a set of 22.5-inch F/L Domed 10-HUB PILOT Aluminum front and rear wheels wrapped in a set of 22.5-inch Michelin XZL 425/65R tires. 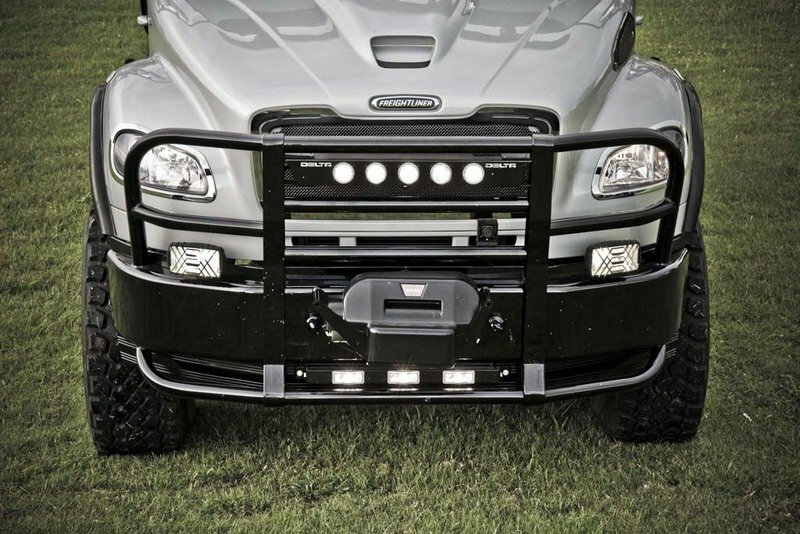 SportsChassis is also offering add-on options for the P4XL that include bumper guides, an M1 106 or 112 spoiler, and an auxiliary power point. While the semi-looking exterior lends itself a striking and powerful feature, the P4XL’s interior has been dressed to the nines. For starters, the luxury utility vehicle has been dressed with an Italian leather-wrapped interior, a suede headliner, among others. There’s also SportChassis’ own Passive Noise Reduction System that was created to eliminate both road and engine noise and a Ride Enhancement Package that ensures a smooth, safe, and secure ride no matter the terrain. Other items of note in the interior of the P4XL include a high-tech Pioneer sound system, a Pioneer infotainment system with a voice activated touch-screen GPS navigation, satellite audio, iPod integration, and Bluetooth technology. In addition to all these features, the P4XL also carries a mobile wireless Internet access courtesy of Autonet Mobile, rear and side view cameras, as well as a forward-looking infrared night-vision camera by FLIR. 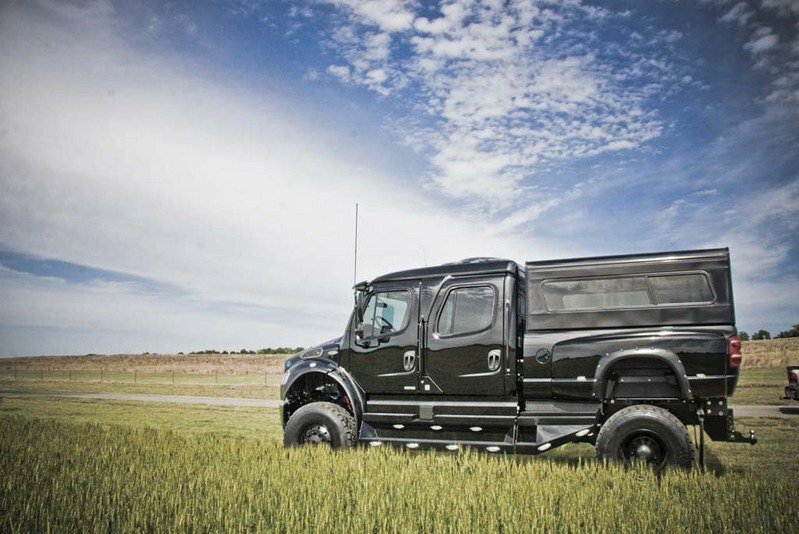 The P4XL is powered by the Cummins ISC 8.3-liter diesel engine that produces 330 horsepower and a staggering 1,000 lb/ft of torque mated to an Allison TRV3200 5-speed transmission, giving it all the power it needs to go anywhere it wants at anytime. SportsChassis didn’t release any pricing information on the P4XL and sadly, we don’t have anything to base our guesstimates on. We haven’t seen anything quite like this in a while now so by virtue of competition, there seems to be a shortage of sports utility vehicles that are as imposing and powerful as the P4XL. The closest vehicle that could match up against this is probably a tuned-up version of the Hummer H2, but as you all by now, that brand has been discontinued. Comparing this one to a jeep, I would definitely prefer this one! This sports utility is kind of reliable for an off road vehicle. However, too bad that its gas guzzler but I think its nothing to a wealthy folks that can afford to buy and maintain this kind . With the bloat loaded exterior now wonder why this car has gained so much weight. Surprisingly, the horsepower and torque of the car is quite impressive. I was thinking on how this car manage to produced an amazing figure performance just like that. This one looks like a beast. The rough and sporty exteriors are apt for any adventure trip. luxury and adventure go hand in hand. Oh no! 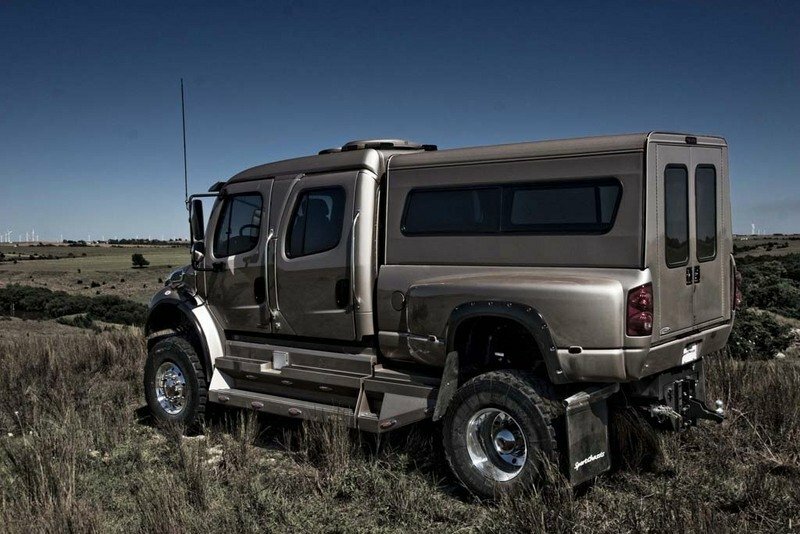 Im not considering in buying on of this Hummer. For sure, this would be gas guzzler and needs a lot of maintenance. However, i do agree that the design is damn impressive! An ultimate combination of power and luxury. Now one can never think twice about the rough terrains and adventurous rides. Just feel the smooth ride. Yeah, you’re right, this is definitely good for an off road. This one is actually a good ride in the city streets, though you need to prepare yourself for the fuel bills. 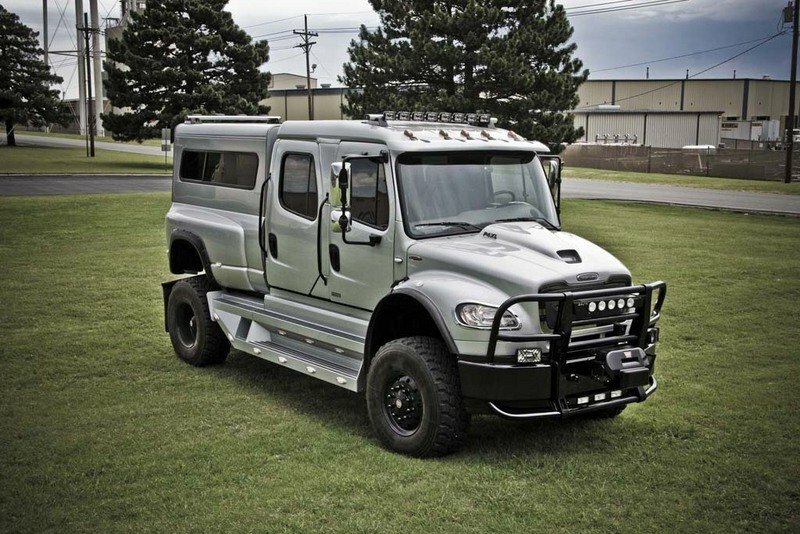 Well now, this would certainly be the right vehicle to bring if you are going out on a cross country trip. With that huge cargo space, you can bring loads of stuff for the entire trip. This one has a rather impressive build, quite imposing actually. And I just love how they did the interiors. Too bad that this one is going to be a big gas guzzler though. This one is actually going to be quite impractical if you are living in the city. Unless of course, if you expect to do a lot of hauling, in which case, this would be quite dependable. I like how this one looks. The exterior does remind me of a semi, which really gives the message that it is built for power. And they made ir rather sturdy too.